The London 2012 Games were centred around the Olympic Park in east London, which is the site of a number of new sports venues. Up to 180,000 spectators a day entered the Park to enjoy the Games, making it the principal focus of Olympic activity. The main venues – the Olympic Stadium, Aquatics Centre, Velodrome and BMX Circuit, as well as the hockey, handball and basketball arenas – were easily accessible through a network of footbridges and walkways within the Park. The Olympic Village was within walking distance of all the venues in the Park, enhancing the experience for athletes and officials. The use of other prestigious venues – such as Wembley Stadium for football, the All-England Club in Wimbledon for tennis, Lord’s Cricket Ground for archery and Horse Guards Parade for beach volleyball – was also a feature of the London 2012 Olympic and Paralympic Games. The London 2012 Games included a four-year Cultural Olympiad. It reached a climax with the Olympic Games Opening Ceremony on 27 July 2012, starting a 60-day festival of sport and culture across the UK, as the Olympic and Paralympic spirit crosses the world once again. The logo design rejects traditional typography for abstract form. There is no attempt to represent a "thing" in the logo. Rather, there is an interpretation of the spirit of sport, as opposed to literal sport—all that is literally expressed is the 2012. The odd jagged shapes of the 2012 can represent power, speed, energy and explosive excitement. The bright color palette reinforces that spirit. 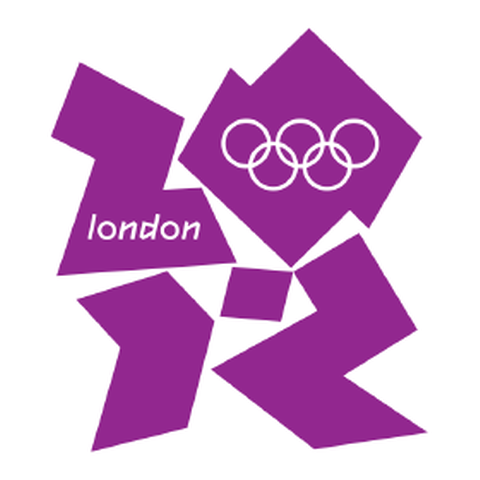 By virtue of the logo design and its extensions, the 2012 London Olympics can "own" jagged abstract shapes in bright colors. After the lighting ceremony in Olympia, the flame embarked on an eight-day journey across Greece, travelling to Crete and the north of the country via Thessaloniki, Xanthi and Larissa, before arriving on 17 May in Athens to be officially handed over to the Organising Committee of the Olympic Games in London. The flame then flew to the United Kingdom, where it arrived on 18 May. The British relay began the following day in Land’s End in Cornwall, with Ben Ainslie, triple Olympic champion in sailing from Britain as the first runner. Wenlock takes his name from the town of Much Wenlock in Shropshire, which still hosts the traditional Much Wenlock Games. These were one of Pierre de Coubertin's sources of inspiration for the modern Olympic Games. According to the story by Michael Morpurgo, Wenlock's metallic look is explained by the fact that he was made from one of the last drops of steel used to build the Olympic Stadium in London. The light on his head is based on those found on London's famous black cabs. The shape of his forehead is identical to that of the Olympic Stadium roof. His eye is the lens of a camera, filming everything he sees. On his wrists, he wears five bracelets in the colours of the Olympic rings. And the three points on his head represent the three places on the podium for the medal winners. Streets, parks and underground station entrances in London were decorated with 84 sculptures of Wenlock and the Paralympic mascot Mandeville standing 2 metres 30 tall and each weighing a ton, to help guide tourists during the Games. These sculptures were decorated by 22 designers to reflect their surroundings. The mascots were chosen in a competition launched in 2008. More than 100 designers, artists and agencies submitted proposals. Wenlock and Mandeville were chosen from a series of designs which included a humanised pigeon, an animated teacup and representations of Big Ben featuring arms and legs.